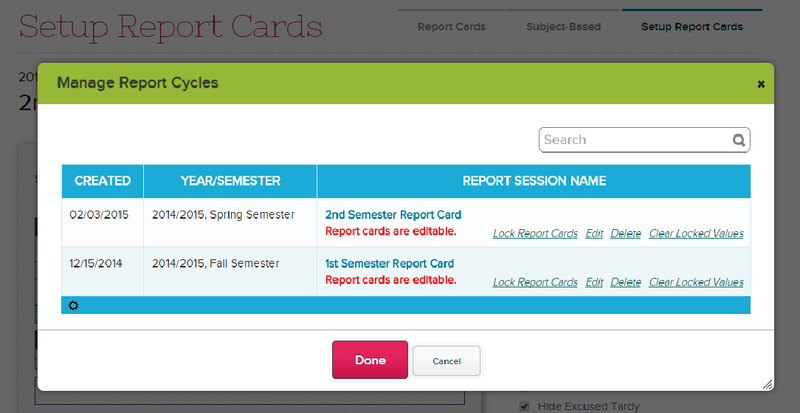 In your QuickSchools report cards, there is a facility to Lock Report Cards. This is a way to safeguard your report cards from inadvertent changes from teachers, once report cards are finalized. Locking the report cards for the first time also publishes them for parents to view on their Parent Portal (as well as for students in the Student Portal). 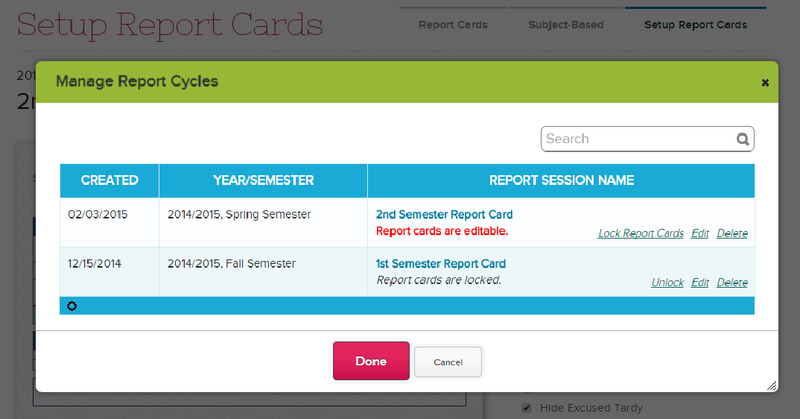 If changes are required after report cards have been locked, you can also Unlock Report Cards. So in this example, the report cards were previously locked when the Gradebook was calculating a Final Grade of “78.4”. However, now that the report cards have been unlocked, the Gradebook is showing an updating Final Grade calculation of “86.8”. 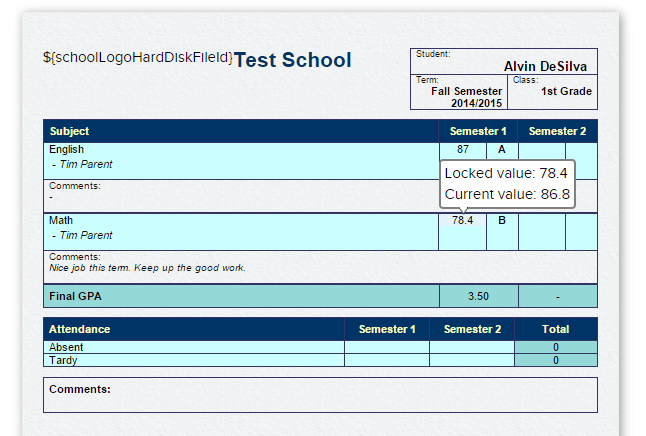 If you need to change the marks or grades (or any other field) you can change the values by simply typing over them. This is again a safeguard to make sure all changes to report cards after they have been locked have to be made intentionally and explicitly. If you find though that you perhaps locked the report cards too early, maybe inadvertently, and you actually want to re-synchronize all the grades in the report cards with the current final grades in the Gradebook, then you can request to enable the “Clear Locked Values” functionality. What this button will do, is essentially re-synchronize the locked values from the report cards with the latest final grades in the Gradebook. It’s like refreshing the report cards. IMPORTANT TO NOTE here however, that if you had manually over-written the grades in the report cards, to cater to some extenuating circumstance (without reflecting it back in the gradebook), these overwritten values will remain as-is in the report cards, and will not be refreshed.